The 2016 Travelers Championship PGA golf tournament is taking place this week from August 4-7, 2016, at the TPC at River Highlands private golf club located in Cromwell, Connecticut. Here is a list of the playing field for the 2016 Travelers Championship focusing on the top players in the field. The big news for the 2016 Travelers Championship is that Bubba Watson, the #6 ranked golfer in the world, is back to defend his title this year. Bubba won the Travelers last year for the second time (he also won in 2010). Also in the playing field for the 2016 Travelers Championship are top 50 ranked players including Branden Grace, Patrick Reed, J.B. Holmes, Louis Oosthuizen, Brooks Koepka, Matt Kuchar, Zach Johnson, Jim Furyk, Russell Knox, Shane Lowry, Paul Casey, Kevin Chappell, Daniel Berger, Justin Thomas, Charley Hoffman, Soren Kjeldsen and Marc Leishman. Golf major winners in the 2016 Travelers Championship field include Keegan Bradley, Angel Cabrera, Ernie Els, Retief Goosen, Padraig Harrington, Justin Leonard, Geoff Ogilvy, Webb Simpson, V.J. Singh and David Toms. Other notable golfers in the field include Bryson Dechambeau, Luke Donald, Jamie Donaldson and Hunter Mahan. All in all, this is a sneaky good field for the 2016 Travelers Championship. 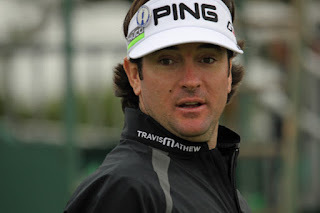 While the field is lacking in top end talent beyond Bubba Watson, the depth of the field is very strong and the 2016 Travelers Championship should be a hotly contested PGA golf tournament.